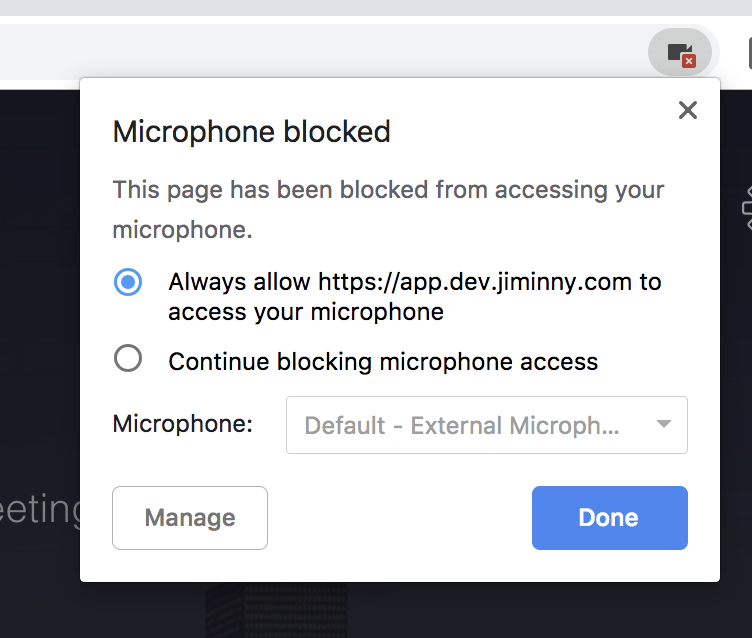 Can't use Web audio or camera features? 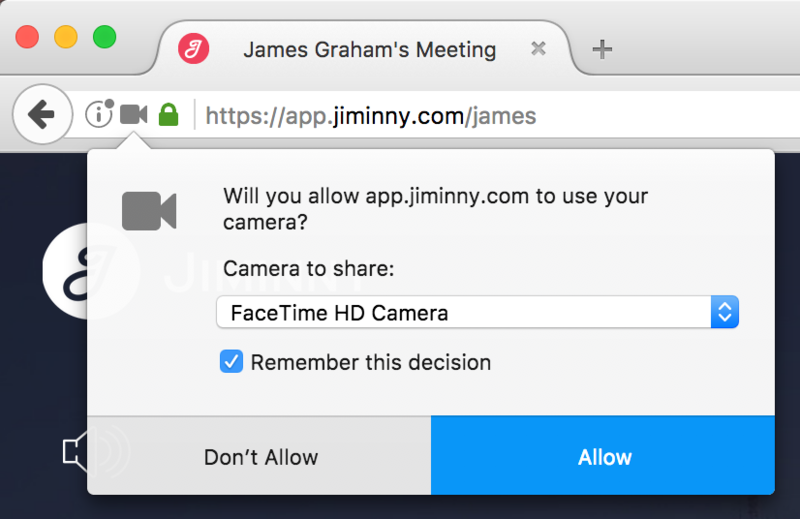 The first time you use the conference or dialer on each computer you'll be prompted to allow access to your camera and microphone. Check for conflicting applications that might be accessing or attempting to access the microphone. You might have to close them. Try unplugging and reconnecting the microphone, if applicable, to reacquire the microphone. If you accidentally denied permission, follow these steps for your browser. 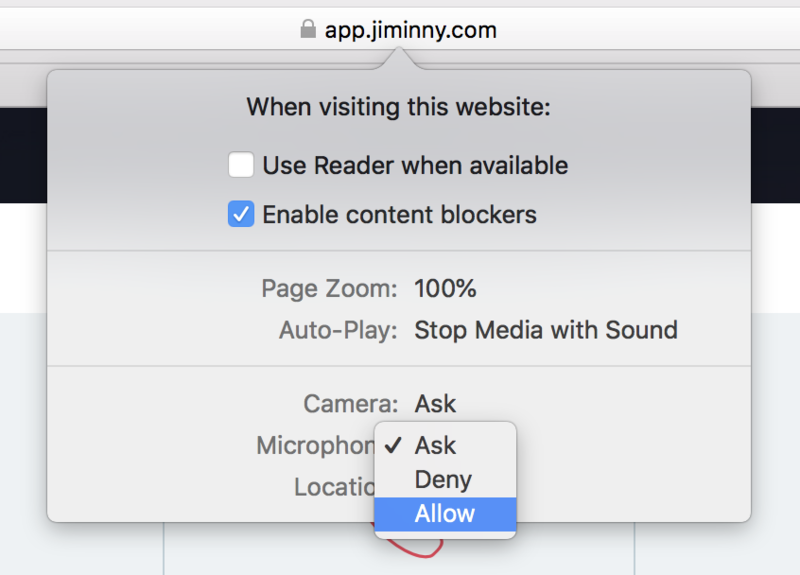 Remove any blocks for "app.jiminny.com" or "ext.jiminny.com"
Or you can enable microphone and camera access from the same page. Locate Microsoft Edge and toggle permissions to "On"
If you have previously blocked access, you can restore this simply by refreshing the page. You'll see a prompt to allow access to the camera or microphone. Always choose "Remember this decision" so you aren't prompted each time you join.